John Coltrane left an indelible mark on the world, but what was the essence of his achievement that makes him so prized forty years after his death? What were the factors that helped Coltrane become who he was? And what would a John Coltrane look like now--or are we looking for the wrong signs? In this deftly written, riveting study, New York Times jazz critic Ben Ratliff answers these questions and examines the life of Coltrane, the acclaimed band leader and deeply spiritual man who changed the face of jazz music. Ratliff places jazz among other art forms and within the turbulence of American social history, and he places Coltrane not just among jazz musicians but among the greatest American artists. Ben Ratliff has been a jazz critic at The New York Times since 1996. He is the author of The Jazz Ear and The New York Times Essential Library: Jazz. 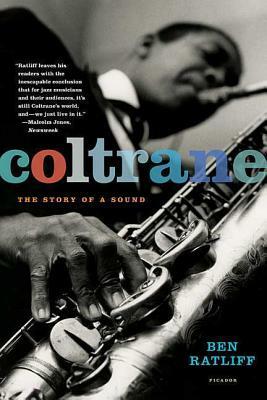 His book Coltrane: The Story of a Sound was a finalist for the National Book Critics Circle Award. He lives in Manhattan with his wife and two sons.